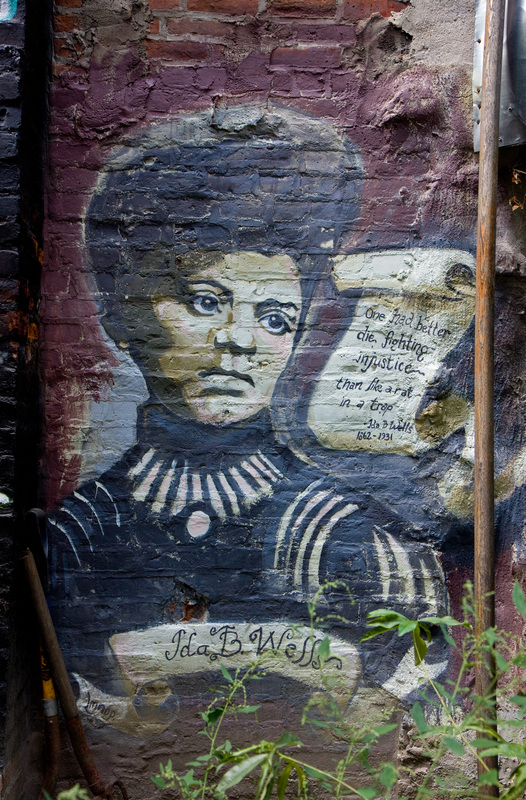 A compilation of the most influential American journalists is hardly complete without the inclusion of Ida B. Wells-Barnett. She was a radical yet peaceful literary warrior for African Americans in the late 1800s. Her transition to journalism was a direct result of her disgust with Jim Crow and the practice of lynching and her desire to cast a national spotlight on prejudice in America. Born in Holly Springs, Mississippi, and beginning her teaching career in the starkly segregated Memphis, Tennessee, Wells-Barnett didn’t take long to transition into her role as an investigative journalist. Church newspapers were the first to publish her work, and soon she began writing letters to the Memphis Weekly Appeal. Wells-Barnett quickly made a name for herself and worked her way into the inner circle of African-American journalists in Memphis. “Her journalistic style has often been described as courageous, determined, impassioned, and aggressive” (Ashley, 341). Wells-Barnett began writing for both the Evening Star and The Living Way under the pen name “Iola.” By age 25, Ida B. Wells-Barnett was the editor of The Living Way, solidifying her transition from teacher to investigative journalist. She entered the profession gradually, insisting that the travails of African Americans should become known. “I had an instinctive feeling that the people who had little or no school training should have something coming into their homes weekly which dealt with their problems in a simple, helpful way. So in weekly letters to The Living Way, I wrote in a plain, common-sense way on the things which concerned our people,” Wells said, describing her first journalistic work (Ashley, 342). Her next move would take her to the Free Speech and Headlight. Here, she attacked the Memphis Board of Education and documented the horribly unequal conditions between white and black segregated schools. Wells-Barnett was terminated from her teaching job because of those critical articles, but the efforts of her detractors would prove futile. This unpleasant event drove her to intensify her muckraking journalistic work and take on even more dangerous subjects. “Her words caused a strong reaction, including threats on her life. As a result, she left Tennessee permanently, relocating to Chicago, from where she took up her international antilynching campaign” (Bergman, 222). After a brief interruption due to her lecture tours across America and Europe, Wells-Barnett returned to journalism and to Chicago with her investigation of the lynching of “Frog” James in the Chicago Defender. In Chicago, she worked closely with other African American leaders, such as Frederick Douglass. Wells-Barnett brought light to the unfortunate truth that many lynchings occurred as a result of minor offenses or for no reason at all. “As only Negroes are lynched for ‘no offense,’ ‘unknown offenses,’ offenses not criminal, misdemeanors, and crimes not capital, it must be admitted that the real cause of lynching in all such cases is race prejudice, and should be so classified” (Wells). So, she classified the lynchings herself. Wells-Barnett constructed The Red Record, listing the names of all 159 black lynching victims in 1893, alongside the crimes they were charged with (Karaim, 53). This act, along with numerous others, almost got her killed; however, she remained resilient and an influential force in the early days of muckraking journalism as an exemplary African American and woman. Ashley, Perry J. American Newspaper Journalists, 1873-1900. Detroit, Mich: Gale Research Co, 1983. Internet resource. Bergman, Jill. ““They Say”: Ida B. Wells and the Reconstruction of Race (review).” Legacy: A Journal of American Women Writers 27.1 (2010): 222-223. Project MUSE. Web. 25 Jan. 2013. <http://muse.jhu.edu/&gt;. Karaim, Reed. “Vigilante Justice.” American History 46.6 (2012): 50-55. Academic Search Premier. Web. 6 Nov. 2013.